Shaded by pine trees, *Schooner Landing* has direct beach access to the Pacific Ocean! The resort's recreation center has courts for racquetball, basketball, and volleyball, a billiard table, weight room, indoor pool, sauna, and whirlpool. With its close proximity to the ocean, a wide variety of water sports are readily available. Golf and horseback riding are additional recreational options in the area. Regional attractions include the Undersea Gardens, the Marine Science Center, Devil's Punchbowl Natural Area, local lighthouses, whale-watching, and the Oregon Coast Aquarium. 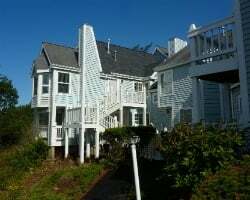 Comfortable resort within close proximity to the ocean! Floating week! Buyer may receive a title fee credit, inquire for details! Great resort with direct beach access to the Pacific Ocean! Floating week of your choice! Inquire for more details! 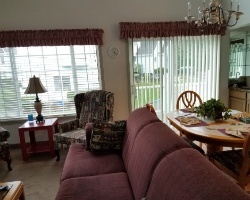 Beautiful resort with many great recreational options in the area! Floating week! Inquire for details! Ideal location near the water! Buyer May Receive A Title Fee Credit, Inquire For Details! 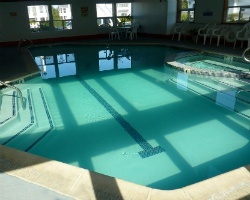 Family friendly resort featuring a large recreation center for all ages! Floating week! Inquire for details!